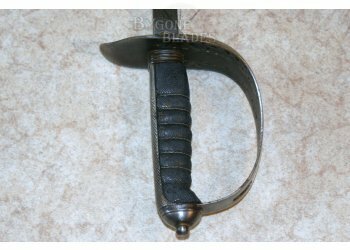 This rare Victorian Infantry Officers’ Levee sword has a piquet weight blade of 82.5 cm / 32.5 inches; dumbbell shaped with rounded edges tapering to a double edged spear point. 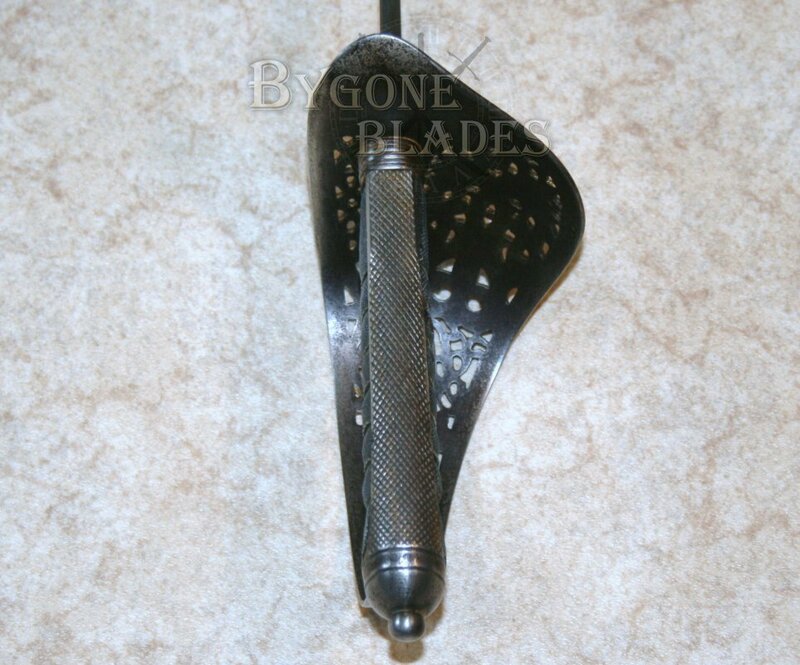 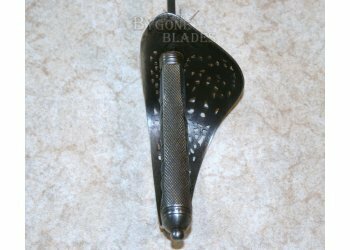 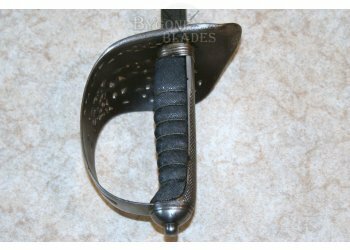 The width of the blade is 19 mm at the shoulder. 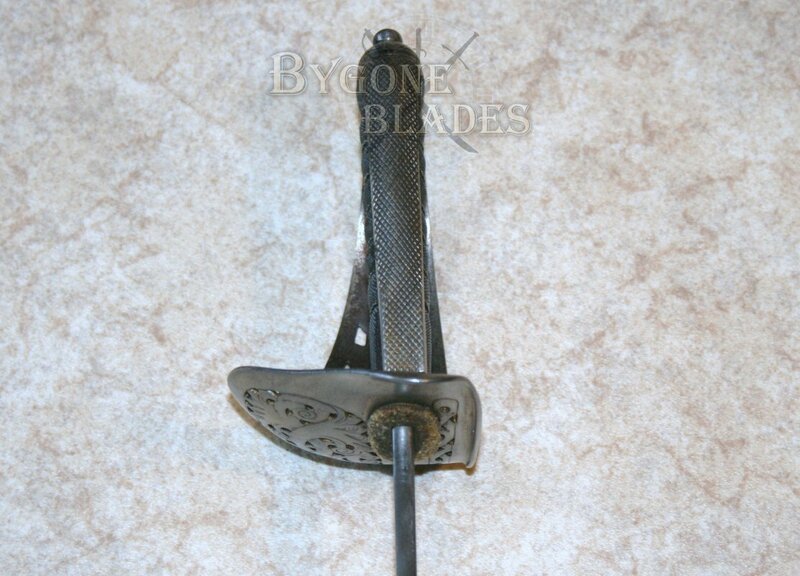 The blade is frost engraved with the crowned Royal Arms, Queen Victoria’s VR cipher, laurels and foliage. 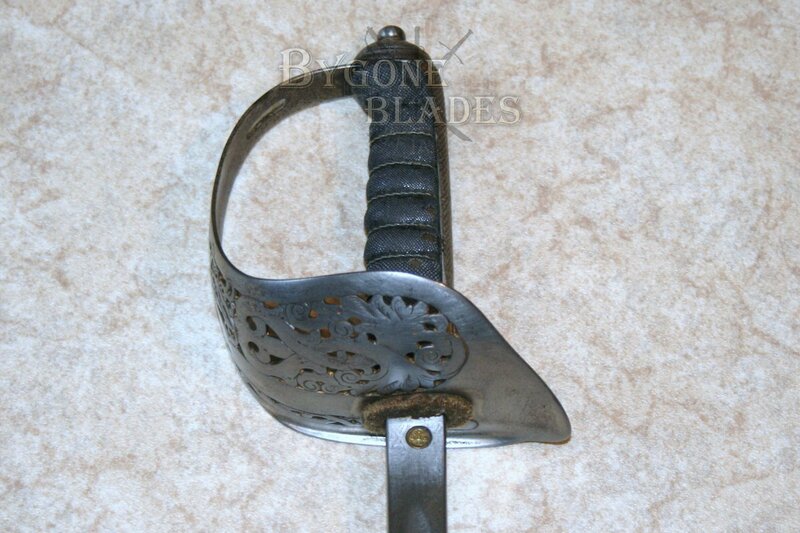 The maker/cutler, Cater & Co, Pall Mall is faintly etched on the ricasso. 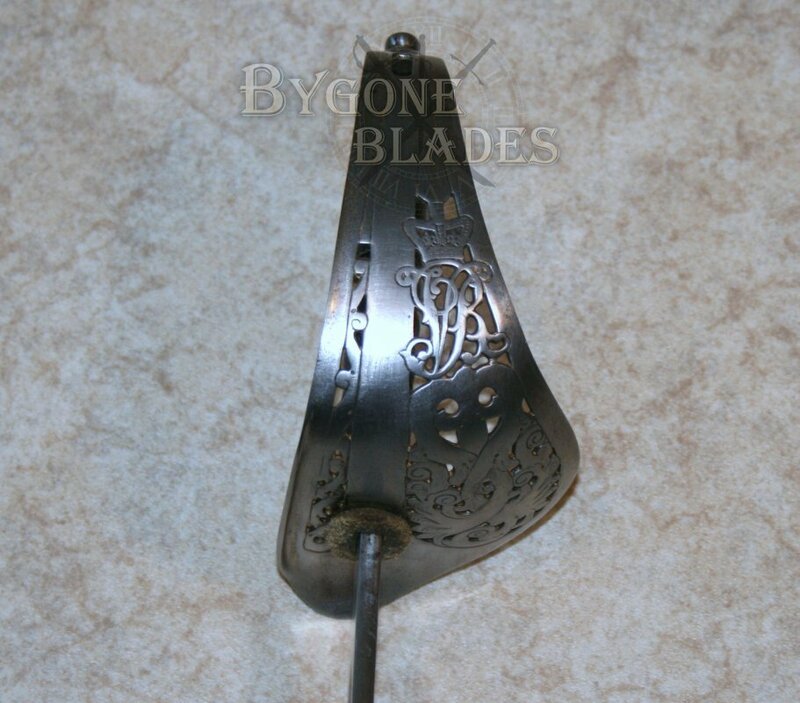 The ¾ plated steel basket guard is pierced with scroll and floral work and bears the Crowned VR cipher. 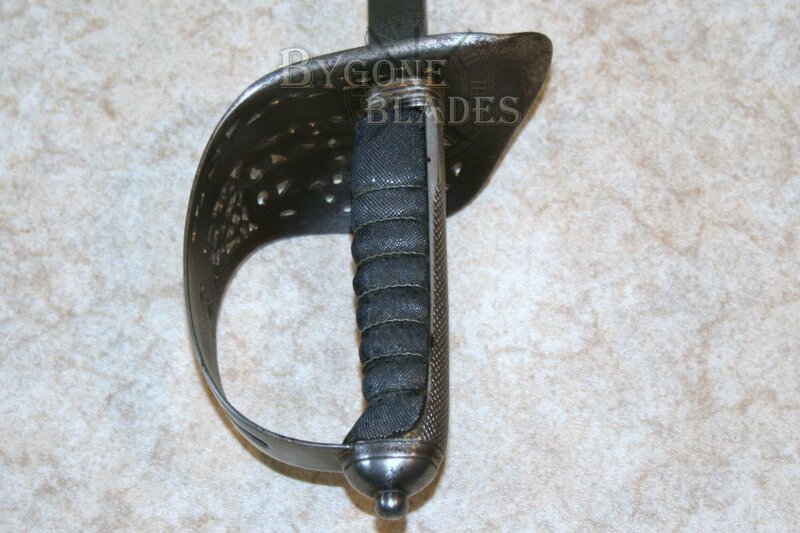 The fish skin grip is in good condition as is the wire although one strand is missing. 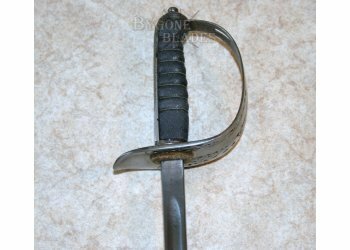 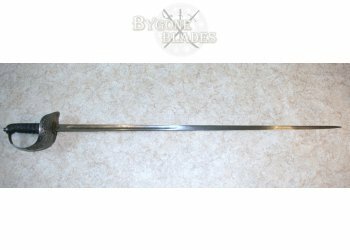 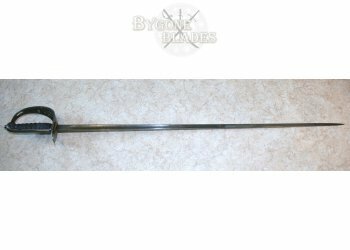 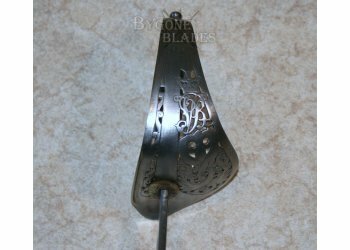 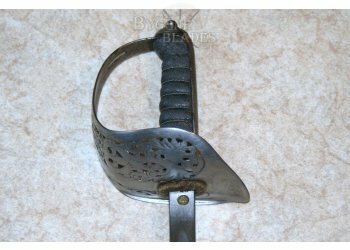 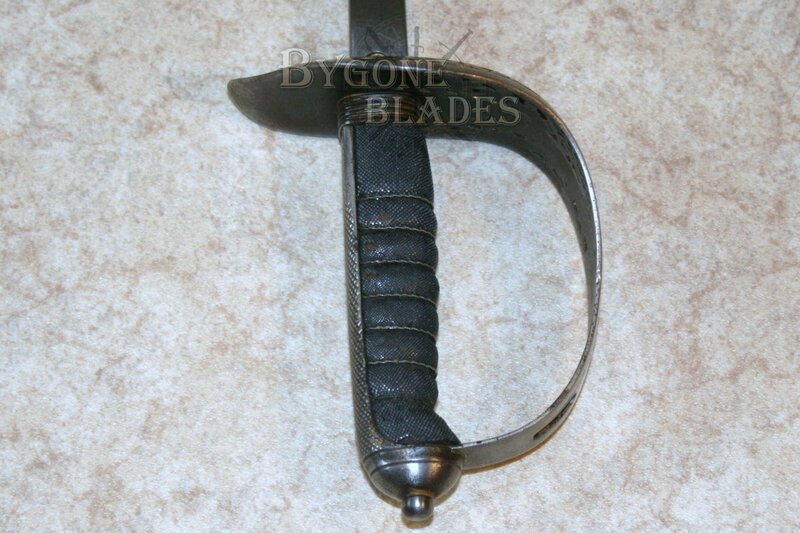 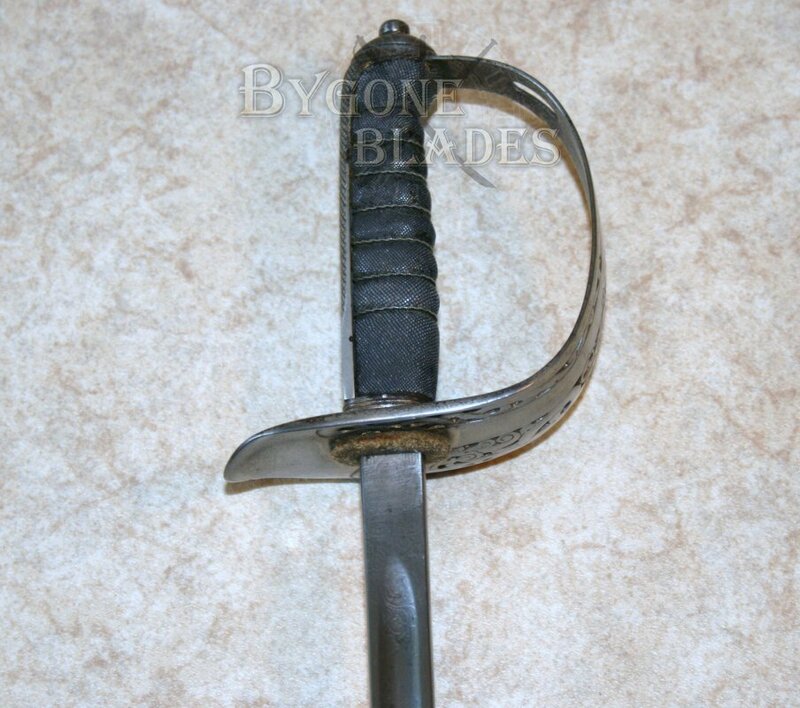 This sword is in overall good condition and the blade is firm in the hilt.